Neck pain can arise for many reasons; a strain or sprain, arthritic changes in the neck, fatigue or weakness of the postural muscles. Neck related symptoms may include headaches, upper back and shoulder tensions and even arm pain. Osteopathy has been shown to be useful in helping people who suffer from uncomplicated mechanical neck pain, general aches and pains, neuralgia, and neck related headaches. Osteopaths use hands on stretching, massage and gentle movement through the joints with the aim of increasing joint mobility and reducing muscle tension and cramping. With all spinal problems a combined approach works best, so osteopathic techniques will be advised alongside exercises, stretches and advice on posture. 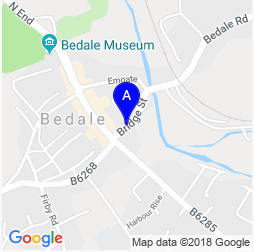 I first visited Suzanne at Bedale Osteopaths last year and would highly recommend her to anyone looking for pain relief. At the time I was suffering so much pain my husband almost carried me into her practice in Bedale. Within a very short time, I was walking without pain, able to run up steps and enjoying a much better lifestyle. Suzanne is very professional, conscientious and thorough. I follow her advice and my body is now in much better shape and accepts my hectic and sometimes punishing life style. I am so grateful to Suzanne and her team for their care and expertise. Neck and Shoulder assessment sitting.